Garage Project Beer in a can. Wellington craft brewery Garage Project has been named the best brewery in New Zealand at the 2014 Society of Beer Advocates (SOBA) awards. But the award-winning Garage Project craft brewery, the makers of Cat’s Pyjamas cream ale and Red Rocks Reserve ruby ale among many others, missed out on the award for best beer. That accolade went to fellow Wellington craft brewery Panhead for its The Vandal, a New Zealand IPA that is 8% ABV and boasts Motueka, Riwaka and Naelson Sauvin hops. Other award winners include Auckland craft beer mecca Brothers Beer – named the best bar in the region – and the Auckland-based store Brewers Coop, which was awarded the title of best home brew shop in New Zealand. 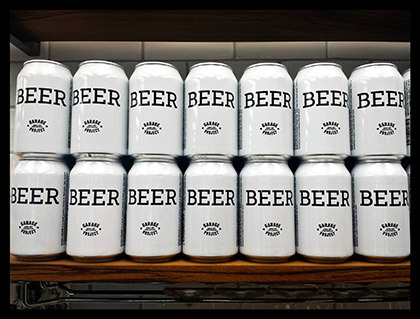 SOBA, which announced its award winners in January 2015, is a consumer-based organisation that was founded in 2006 to help promote the appreciation of quality beer. The awards are aimed at recognising and encouraging the very best breweries and beer-related businesses in the country. SOBA president David Wood commented: “Every city and town develops at a different rate and regional voting means the larger centres don’t eclipse the beer heroes elsewhere. Also check out what Kiwi beers were crowned the best at the 2014 Brewers’ Guild awards.